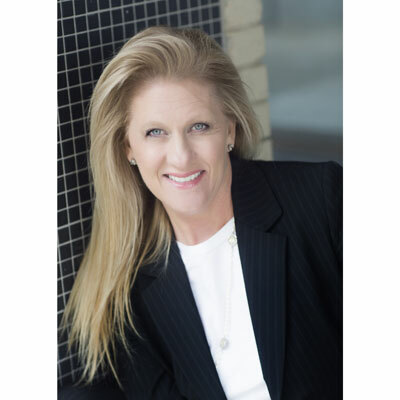 Susan Vincent has more than 20 years of experience helping companies both large and small develop standards, metrics, packaged services, customer awareness and on-boarding processes. As Senior Director of Partner Services for Sage Intacct, Susan oversees the company's Partner Services team including partner onboarding, partner implementations strategies and partner delivery excellence. Prior to Sage Intacct, Susan spent five years as VP of Customer Operations MetraTech now part of Ericsson, which supports a wide range of services from subscriptions to usage based services, negotiated B2B agreements, complex services and cross product discounting and bundling, managing Account Management, Technical Services, Customer Support, and Customer Education. She has also held senior positions at SOFTRAX and Client Service Solutions (Epicor Partner). Susan began her career in accounting working with Travelers Insurance Company. Susan holds a Bachelor of Science double major in Accounting and Business Management from Elon University. The key to Sage Intacct Partner success is a deep understand of the available solutions, engagement, ongoing education and solid communication. To achieve an increase in engagement, Susan has enhanced the following programs: New Sage Intacct partners go through an extensive on-boarding program in their first year as a partner.. Implementation excellence is provided through "Partner Services Onboarding" revamped and improved through Susan's leadership in 2017. Susan coordinates the ongoing Sage Intacct channel net promoter program in 2016. Sage Intacct provides weekly sessions open to all Partners to deliver product knowledge, implementation strategies, process improvements, and overall Intacct awareness. The session attendees leave each week with actionable ideas to accelerate and improve their Intacct services practice. We have seen a 200% growth in partner attendance year over year. Sage Intacct continues to deliver its multi-day business building conferences (BBCs) to transform our partner sales, marketing, and implementation excellence. The event provides industry proven services and support practices delivered collaboratively by Sage Intacct and Partners. The objective of the three-day event is to develop and convey the latest services and support tools to help our channel be more successful in their implementation engagements creating a stronger competitive advantage for our partners. The Sage Intacct Channel is seven years old. Along with celebrating exponential growth, we will boost the opportunities for tenured partners to go deeper into the Sage Intacct solutions, improve technical skills, while at the same time quickly ramping the newer partners. The programs will include boot camps, vertical specialty hands on implementation guidance, and use of the Net Promotor program helping partners grow their net new revenues with strong unbeatable services and support delivery. High involvement in our largest CPA firms will help insure and grow overall subscription revenue impacting both channel growth and Sage Intacct CMRR. Susan was awarded the Sage Intacct Eagle award in Feb. '17 recognizing her commitments, integrity, and character. This is given to four employees yearly in honor of overall dedication and impact to the company both in revenue but more to company values. Susan earned Sage Platinum Elite Club attendance in 2017 for channel leadership, overall revenue impact, and subscription and services growth. 114 out of 14,000 Sage employees earn this recognition. This award was given by Sage. Susan was inducted into her high school athletic hall of fame in 2017 lettering 12 times in three sports in high school. Kay Yow, former NC State Women's basketball coach, has been a life-long inspiration. She was one of the most influential figures in the history of woman's college sports. I had the privilege of attending her sports camps for many years as a youth and ultimately playing for her in summer travel team. She epitomized honesty, sportsmanship, and never failed to inspire with her hard work and winning attitude. She taught me not to chase the "wins", but rather to have a positive influence on anyone I come in contact with - the wins will happen naturally. Listen to your parents! They have valuable life experience and want to keep us from repeating the same mistakes they made. Parents aren't miracle workers and don't always know the perfect way of communicating their guidance, but they invested time, love, and money into helping us the person we are today. Be respectful and listen! If I could learn one new skill, it would be to master video recordings and voice editing. No matter how technology changes, there will always be spoken word and recordings of some flavor of media. Speaking and editing more effectively would be a skill that could transform the delivery of content no matter what the purpose. Great video catches our attention while bad video and lighting can stop a listener from retaining the content. The best book I've read this past year would have to be ..."Beneath a Scarlet Sky" by Mark Sullivan. The book tells the true story of a young Italian boy's efforts to thwart the Nazis occupation. It's a saga of history, suspense, and love. The story spans 80 years capturing detailed insight in lives touched, crushed and strengthed by war. It shows how strong the human spirit can be in extreme circumstances. The extraordinary historical detail provided by the arthors extensive research helps paint a vivid picture worth ever readers time.